ONE of the key principles contained within the Limerick 2030 plan is the fact that Limerick city centre “will be at the heart of this economic force – an attractive magnet for retail, leisure, residential, commercial, educational and cultural growth”. Thankfully, we have made some inroads over the past five years in terms of the commercial aspect. However, we must also consider where we stand in terms of the other elements that make a great city. It was disappointing to read that An Taisce have taken the decision to appeal the plans for the international rugby experience which had recently received planning approval from the local authority. In its appeal, An Taisce says that the development will do “long-term damage” to the city’s Georgian heart. What disappoints me is the fact that this is a project which has been designed by a celebrated architect. It is a project that aims to bring thousands of visitors to our city. It is a project that has the potential to bring life back into our Georgian city in a stimulating way. Yet the fact that the proposed project deviated slightly from the traditional Georgian streetscape in terms of height and look has resulted in a much needed addition to our city’s leisure offering being delayed for months at the very least. Let’s now look at the retail aspect. Speaking to city centre retailers over the past few weeks there seems to be a consensus that 2017 was a particularly difficult trading year. No doubt the world of retail is changing quickly. Online sales and eCommerce have firmly taken root in the public consciousness. Larger multi-national retailers are favouring out-of-town retail parks or shopping malls to showcase their products, where larger unit sizes and greater footfall is the key attractor. A recent submission by Limerick Chamber to the local authority notes the fact that retail units available in Limerick city at present are simply not of the size to attract any big name brands. What we are seeing a lot of is discount stores, mobile phone stores and eCigarette stores. There is a clear need for the development of a solid retail strategy in our city. We need the city to up its game in terms of attracting bigger name brands or run the risk of losing our retail audience completely. With all the talk of living cities initiatives, Liveable Limerick campaigns and a world where trends are showing huge demand for urban living, residential developments in the city centre seem to be non-existent. A browse through recently submitted planning applications tells a bleak tale in terms of how much residential is coming down the tracks in the city centre. Experts tell me this: current rents in Limerick city are too low to justify developers taking a punt and ultimately making a project cost effective. Slightly worrying when we are now seeing a resurgence of residential developments out of town. Traditionally the city centre has not been an attractive living option. Apartments and houses in the city tended to be dated, tired or simply uninhabitable. With new jobs being created, now might be the time to create a dedicated urban living plan with a dedicated team and key targets to achieve in terms of urban residential numbers. Finally, let’s consider education. For a number of years we have heard talk the likes of the University of Limerick or LIT having a city centre base. Whilst we have yet to see the announcement of any solid plans in this regard we must trust that the importance of such a presence hasn’t been forgotten. When our city centre was given the status of being the ‘heart’ of everything that was planned under the 2030 plan we sang from the rooftops. At last we were recognising a city centre that had been neglected for far too long. Five years on the concern might be that all the focus has been on creating office blocks. Let’s hope we don’t take our eye off the ball when it comes to the other key components that make up any great city. Twenty-five years a young Dublin couple took a major life decision. They relocated to Limerick, bought a postage stamp site on the Dock Road in the city and established what was to become Dolan’s Pub. When Mick and Valerie Dolan moved to Limerick in 1994 they probably thought they had the deal of the century when the picked up the Dock Road site. Surely like any other waterside city the Docklands would soon become one of the key areas of investment. A quarter of a century on the location of Dolan’s Pub hasn’t necessarily seen the development that the Dolan’s may have anticipated but that hasn’t stopped them. 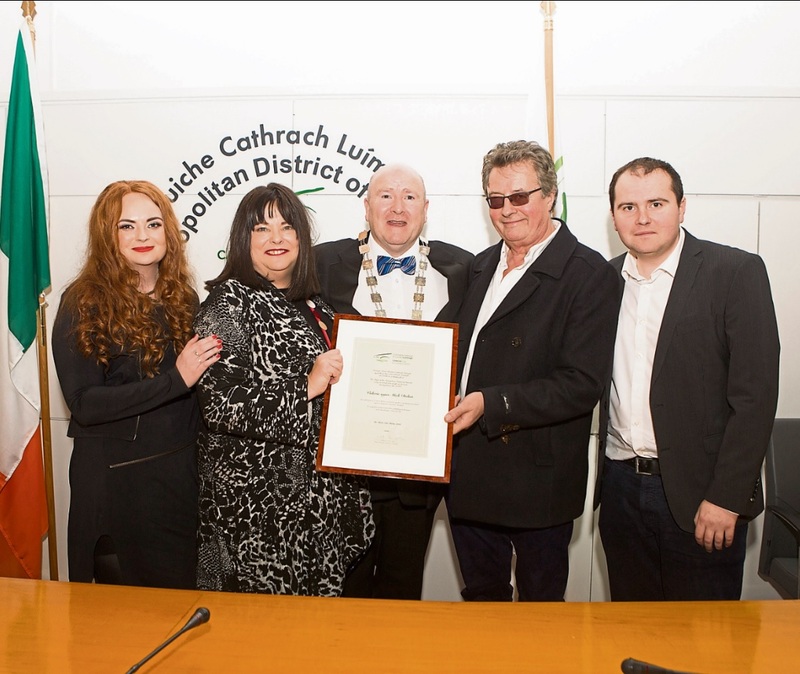 On the same week that news broke of the plans for the Docklands Framework Strategy the Dolan’s received a Mayoral reception celebrating their contribution to the music industry and the arts in Limerick city. Over recent years they have won numerous national awards. There can be no doubt that Dolans is a success story that has helped to put Limerick on the map in terms of its music offering. Congrats to all the team at Dolan’s for such a fantastic achievement.